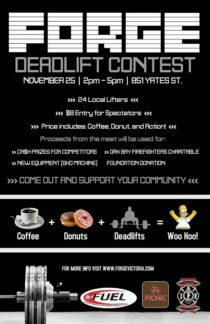 On November 26th Forge Fitness is having a DEAD-LIFT Competition at their gym at 851 Yates Street. 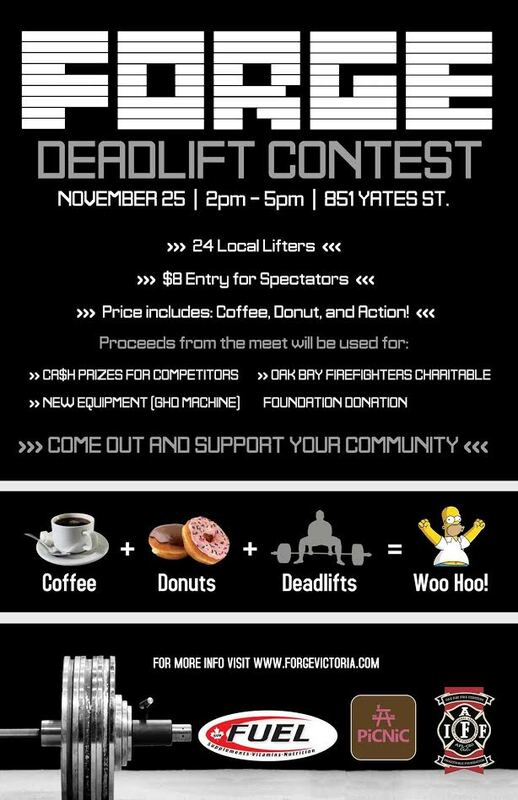 All proceeds from this event will go to local charities including the Oak Bay Firefighters Charitable Foundation. So come on down and cheer on the competitors.